We've had some absolutely amazing weather lately. It has truly been beautiful, and there is definitely not a present need for gel fuel fireplaces with the warm, sunny days we've been having. I haven't had the chance to get out much for photography during the week, as we are at a hectic time at work. However, I do try to get out often during the weekend. I've even got a "lifer" photo already this year, and I was very excited about it! I photographed my very first Mourning Cloak butterfly. It was sitting right next to the steps of my front door... just like it was waiting for me. I photographed it, and then it flew. So, of course, I followed... and followed... and followed. Yeah, I think I followed this beauty around for about a half hour. Meanwhile, my dogs watched me with that, "Yep, Mommy has lost her mind again!" look on their faces. Beautiful butterfly. I can't wait to follow a few butterflies around myself. Dawn, It is a gorgeous butterfly. Great sighting and capture. Congrats! Purdy butterfly. I've seen a number of them around here lately. Almost as many as I have seen in the past six years combined. 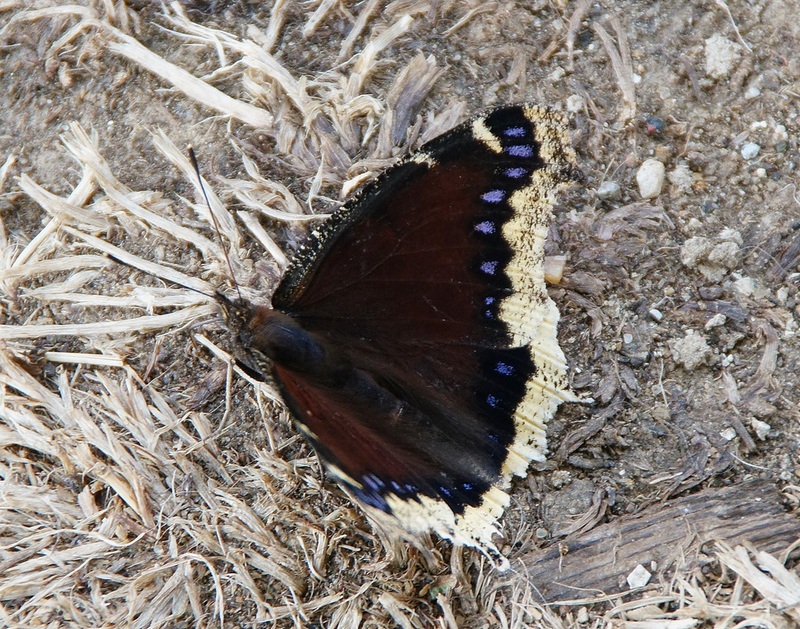 Your mourning cloak turn out so pretty! It is so wonderful to see, isn't it? Oh, such a lovely shot of this butterfly. Gorgeous butterfly! I like the touch of purple. Wonderful shot! That is a beautiful picture! How lucky. I'm glad my pets can't tell the stories of what I do. I'm sure they'd call and have me committed.